If you enjoyed this book's sense of mystery, romance, and of course plenty of magic, here are some other titles you may enjoy. Raised by wolves after being orphaned in childhood, Weylyn Grey, a man with astonishing powers, is evaluated by the people who care or wonder about him, including a woman who falls in love with him after he saves her from an angry wolf. It's 1808, and that Corsican upstart Napoleon is battering the English army and navy. Enter Mr. Norrell, a fusty but ambitious scholar from the Yorkshire countryside and the first practical magician in hundreds of years. What better way to demonstrate his revival of British magic than to change the course of the Napoleonic wars? Like everyone else, precocious high school senior Quentin Coldwater assumes that magic isn't real, until he finds himself admitted to a very secretive and exclusive college of magic in upstate New York. But magic doesn't bring the happiness and adventure Quentin thought it would. After graduation, he and his friends stumble upon a secret that sets them on a remarkable journey that may just fulfill Quentin's yearning. Before escape artist Harry Houdini died, he vowed he would find a way to speak to his beloved wife Bess from beyond the grave using a coded message known only to the two of them. When a widowed Bess begins seeing this code in seemingly impossible places, it becomes clear that Harry has an urgent message to convey. Unlocking the puzzle will set Bess on a course back through the pairs extraordinary romance, which swept the illusionist and his bride from the beaches of Coney Island, to the palaces of Budapest, to the back lots of Hollywood. When the mystery finally leads Bess to the doorstep of a mysterious young photographer, she realizes that her husbands magic may have been more than just illusion. Bound to a magic she never wanted, a young apprentice falls deeper into its mysteries when she must use everything she's learned from her master in order to save him, and his heart. 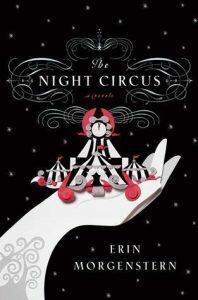 View more suggestions for The Night Circus.